Welcome to our 5 bedroom Villa at the brand new Beach Enclave Long Bay, a truly luxurious 5-bedroom villa that is perched on the shore of Long Bay in Providenciales, Turks and Caicos. Secluded and edged by this exquisite beach, this private property is also nestled in an intimate area with warm, delicate trade winds tracing over the villa and into the open designed living areas. This villa blurs the line between outdoor and indoor living as it blends together the plush and chic interiors with the lavish tropical gardens bursting with indigenous silver palm, sea grape and lignum vitae trees. This spacious 5-bedroom villa can accommodate up to ten friends and family as well as providing a vast array of amenities within this gated community. The living space spans over 7,000 SQ FT. Luxurious amenities this villa offers includes a well-equipped yoga and fitness pavilion, a dedicated concierge and beach service, and on-call private chefs, butlers and housekeepers. The interior design redefines what we hold as luxurious as it brings new levels of comfort, serenity, and privacy. The villa is situated on one of Providenciales most beautiful beaches and uses these views as a key focus for you to admire throughout your time here. Look out onto the blue crystalline waters as far as the eye can see. Take a walk along the fine sugar sand shore, 3 miles in length, and dip your toes in the refreshing shallow pools of water. Soak in the warm climate and let the breezes float around you as you experience this truly captivating Caribbean holiday. 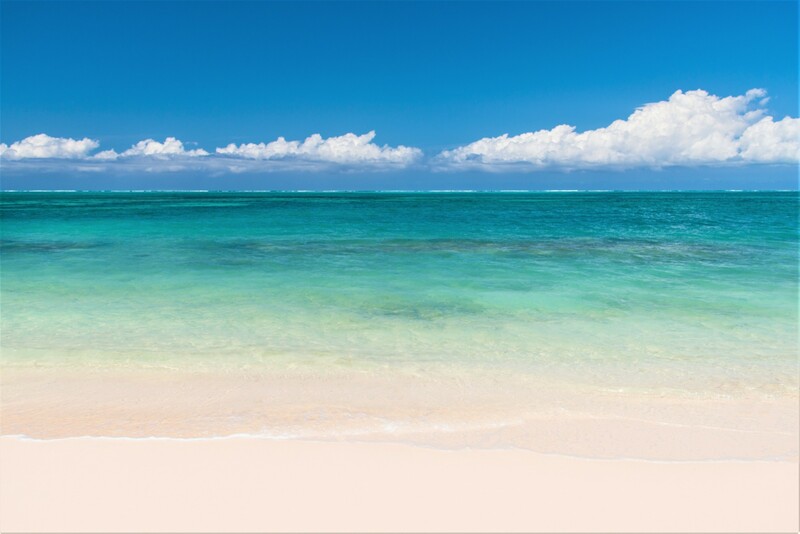 Slip seamlessly into the rhythm of the island of the Turks and Caicos from the moment of your arrival. This 5-bedroom villa at Beach Enclave is carefully crafted with an open design ethos and is very contemporary in its approach. Its chic architecture, wide-open spaces and use of layered with organic materials create a natural living environment and rooms that flood with light and warmth. Expansive ceiling to floor glass sliding doors will lead you out onto the private terrace. Indulge in your very own crisp infinity-edge pool. Sit back on the comfortable sun loungers and indulge in your favorite book. As the sun gets warmer find comfort in the cool shade the parasols cast over you. After a refreshing salt water swim on the beach you can wash your sandy toes in the signature outdoor showers. In the evening you can sit down to a succulent meal cooked by your own professional chef. Sit out on the private deck for alfresco dining and lounging and watch the famous sunsets as the sky bursts with color. You can sit here as the night's sky becomes laced in stars and allow the tropical plants to chatter as the breeze brushes through its leaves. Enjoy the Peace of mind this location provides through its gated and secured setting with warm turquoise waters. The living space and surround terrace truly embodies a sophisticated barefoot living style. Beach Enclave Long Bay offers a modern home design with its pristine furnishings and architectural layout. The signature design philosophy of seamless indoor and outdoor living space is to be admired in the living, dining and combined kitchen area. Here the generous concealable glass sliding doors open to expansive covered terraces, sun decks, and infinity pool. The breeze can float through the room here with ease as you make yourself a snack in the fully equipped kitchen. The crafted sleek cabinets and marbleized counters add an ambiance of sophistication. The island counter is fitted with bar stools and opens out onto the dining area. The large table can seat 8-10 guest for a delicious meal. The high rising ceilings make the room light and airy. Over in the adjoined living area, you can sit back on the comfortable sofa and watch a film perhaps on the high-resolution television mounted on the wall in front of you. Take your first steps into the master suite fitted with a large king-sized bed. This bedroom is an ocean-facing bedroom with the open space concept laced in its design as it opens out onto the outdoor living areas. The private en-suite includes a large standalone bathtub and alfresco rainfall shower. There are three more double bedrooms all fitted with private on-suite bathrooms, with either standalone alfresco rainfall showers or standalone bathtubs for you to indulge in. Two of these bedrooms are located on the ground floor with the third located above the master suite on the second floor. The remaining bedroom consists of two comfortable twin beds with a private en-suite attached. Each bedroom is equipped with ceiling fans, a high-res television, and luxurious furnishings to ensure your comfort and seclusion. This 5 bedroom Villa at Beach Enclave Long Bay offers you the perfect environment and lifestyle experience here in Turks and Caicos. 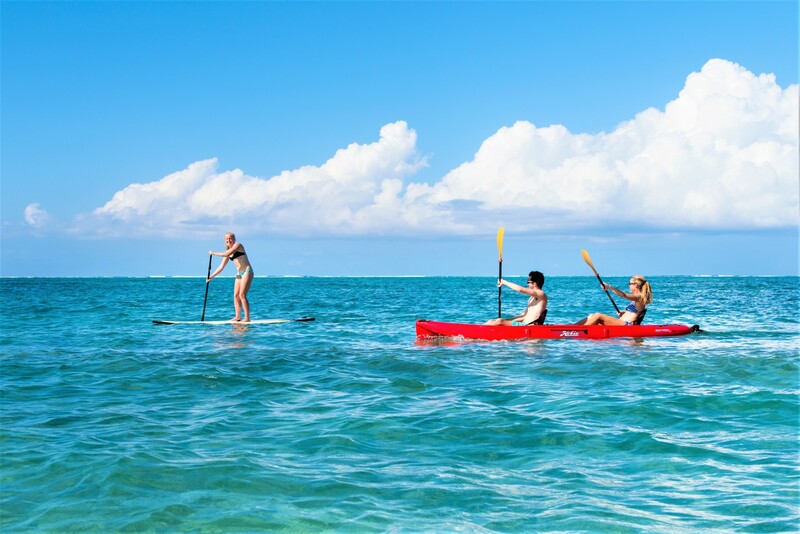 There is also two world-class kiteboarding schools are nearby, as well as beautiful mangroves accessible by paddleboard or kayak. The site is just a short walk to restaurants and a spa, and just over a mile from the restaurants and shops of Grace Bay. With easy access to fine dining, top-notch golf, fishing, snorkeling and scuba diving, and several breathtaking beaches, this location is perfect for you and your loved ones to have both a secluded holiday as well as an adventurous experience nestled near many fun activities and excursions. This 5 bedroom Villa at Beach Enclave is perched on the shore of Long Bay, in Providenciales Turks and Caicos. Secluded and edged by this exquisite beach, this private property is also nestled in an intimate area with warm, delicate trade winds tracing over the villa and into the open designed living areas. The villa is situated on Providenciales most beautiful beaches and uses these views as a key focus for you to admire throughout your time here. Look out onto the blue crystalline waters as far as the eye can see. Take a walk along the fine sugar sand shore, 3 miles in length, and dip your toes in the refreshing shallow pools of water. Soak in the warm climate and let the breezes float around you as you experience this truly captivating Caribbean holiday. The Villa is situated in one of the safest parts of Providenciales as it has one of the lowest crime rates. The unique character of this location offers a great climate due to warm trade winds. The crisp crystals waters are mystical and a delight to swim in. 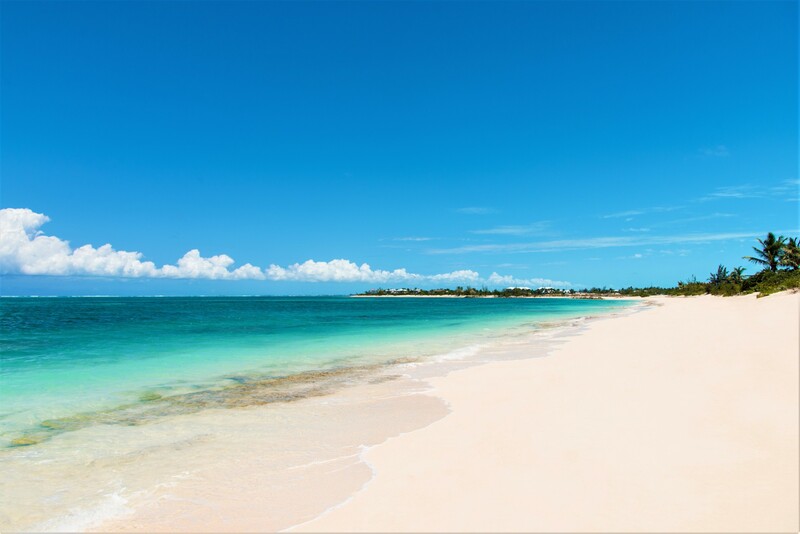 The Turks & Caicos Islands are known for their dry, sunny, climate. 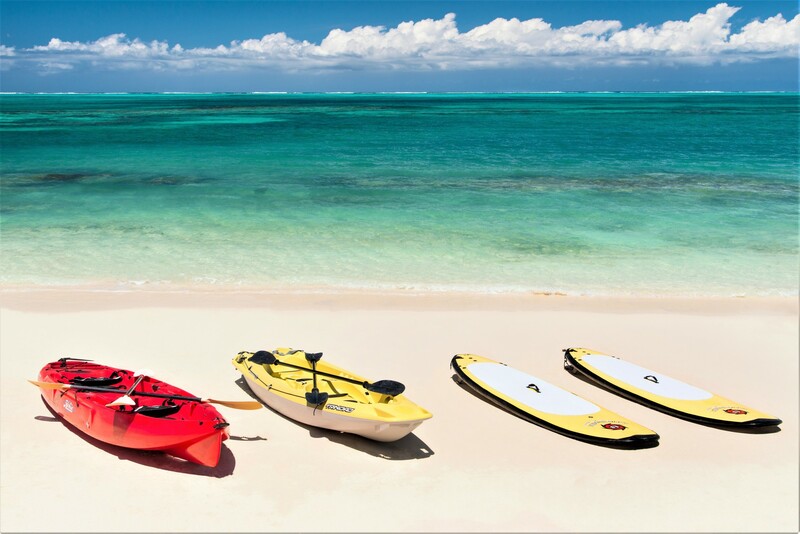 Home to the third largest well-preserved barrier reef system in the world, the Turks, and Caicos Islands offer legendary diving, crystal clear snorkeling locations (smiths reef – 9.8km), fun water sports, and leisurely fishing. The island of Providenciales offers some of the finest restaurants, spas and shopping in the Caribbean. It blends and combines modern infrastructure with unspoiled and uncrowded white sugar fine sandy beaches. Beaches include; Grace Bay(4.2km), Taylor Bay (20km) and Long Bay (on your doorstep!). The Providenciales International Airport has located 15 km from your private villa, a twenty-minute drive. Bedroom 1 Master: Luxurious large king-sized bed, private en-suite, Stand alone bathtub, Alfresco rainfall shower, ceiling fan, high-resolution television, luxurious furnishings, Direct access to the outdoor living area on the private balcony, Sea views. Bedroom 2: Luxurious large king-sized bed, private en-suite, Standalone bathtub, Alfresco rainfall shower, ceiling fan, high-resolution television, luxurious furnishings, Direct access to the outdoor living area, Sea Views. Bedroom 3: Luxurious Double bed, private en-suite, Alfresco rainfall shower, ceiling fan, high-resolution television, luxurious furnishings. Bedroom 4: Comfortable twin beds, private en-suite, Alfresco rainfall shower, ceiling fan, high-resolution television, luxurious furnishings. Bedroom 5: Luxurious Double bed, private en-suite, Alfresco rainfall shower, ceiling fan, high-resolution television, luxurious furnishings, Access to Garden Patio. • Signature drink on arrival to the villa. • daily group yoga by Retreat on Beach Enclave.